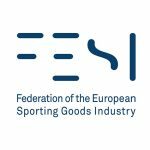 FESI, the Federation of the European Sporting Goods Industry, is the unique Brussels-based European organisation that represents the interests of some 1,800 European sporting goods manufacturers to the European political institutions, other international sport federations and other associations.Organised around eleven operational working committees, where all FESI regular and associated members play an active role, we have also expanded our activities to other European organisations such as the European Committee for Standardisation (CEN), Business Europe and other international / European sports federations. 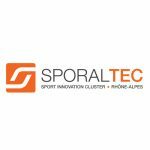 SPORALTEC is the Rhône-Alpes cluster assembling the companies, research laboratories and technical centers in the sports sector. Its objective: maximize the capacity for creativity and innovation in sports companies. Assosport – Associazione Nazionale fra i Produttori di Articoli sportivi (Italian Association of Sporting Goods Manufacturers) – is the Italian national sector association which represents businesses in the sports sector. It is a non political and non profit association. 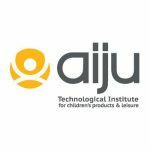 AIJU (Technological research institute for children products and leisure) offers you a wide range of technological services aimed at improving the quality of your products and your business competitiveness by advising you on the latest legislative and technological requirements, and current market situation at all times. In AIJU, you will find your best technological ally for the development and implementation of research projects R + D + I. Tell us what your needs are and we will develop the necessary R + D + I solutions. The SINTEF Group is the largest independent research organisation in Scandinavia. 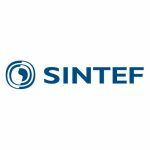 SINTEF applies research to produce new knowledge and innovative solutions in technology, the natural sciences, medicine and the social sciences. 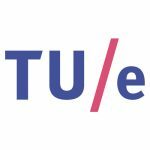 SINTEF Technology and Society (T&S) – one of the six research units – develops new knowledge and technology for industrial and service related businesses, by applying technological, economical and organisational principles. SINTEF T&S consists of seven departments working within the fields of manufacturing, productivity, logistics, economic decision modeling, innovation, project management, safety and health. 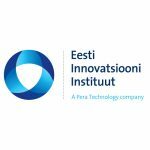 EESTI INNOVATSIOONI INSTITUUT: We are a leading new product development contractor, solving our clients technical challenges. Be it new product development for your company, or addressing technical issues in your systems or existing products. 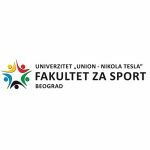 The Carnot STAR institute “Sciences and Technologies for Research Applications” is a key player in Sports and Health research, development and innovation. The Carnot STAR institute aims to providing access to competencies, technological platforms and results from the French public research to industrials. Thanks to the reputation and the research excellence of its eight laboratories, the Carnot STAR institute is able to address three targetted markets: sports equipments, connected objects/internet of things for Health area and biomedical imaging. Università Iuav di Venezia: Our research main topic is the design of innovative products and services using emerging technologies with special regard to sport, physical activity, health and wellbeing. CEA Tech is the CEA’s (the French Atomic Energy and Alternative Energy Commission) technology research unit. CEA Tech’s three labs—Leti, Liten, and List—develop a broad portfolio of technologies for ICTs, energy, and healthcare. CEA Tech leverages a unique innovation-driven culture and unrivalled expertise to develop and disseminate new technologies for industry, effectively bridging the gap between the worlds of research and business. 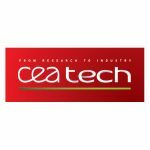 With 4,500 researchers and administrative staff dedicated to bringing manufacturers a broad range of Key Enabling Technologies and 550 priority patents applications per year, CEA Tech works with 80% of the CAC 40 companies , 500 SMBs, 145 international clients and achieves € 600 million annual turnover. The cluster gathers and coordinates a network of professionals from sectors, such as: child care, furniture, fashion (clothing – shoes), toys, food, hygiene, services … but also, universities, schools, research and technical centers, training institutes… who provide their skills and their expertise: marketing, human and social sciences (psychology …), design, technical (materials, electronics, IT, …), medical, etc.